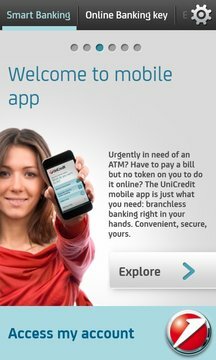 Published by UniCredit Bank Czech Republic and Slovakia a.s.
Smart Banking is a modern and simple application. Move the screen up and down, left or right and make your work with the application easier. Exploit also a wide range of banking services including information on accounts and cards as well as payments. 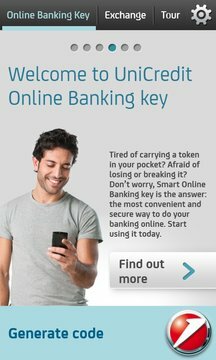 Part of the Smart Banking application is a Online Banking key. This unique function generates one-off codes for logging in and authorizing transactions in the Online Banking. •Online Banking key – a new type of security for Online Banking.